My first sighting of the mold. 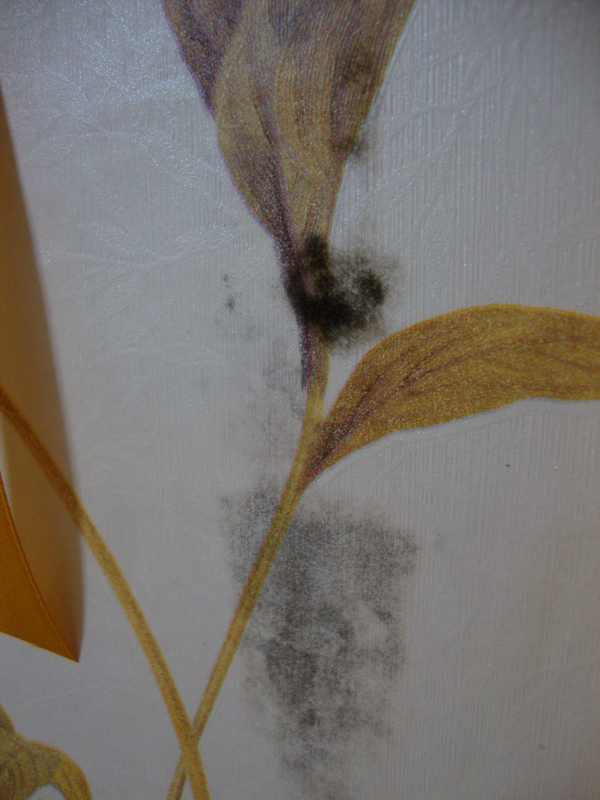 Another view of the black mold growing on my wall. There was mold growing on my wall. 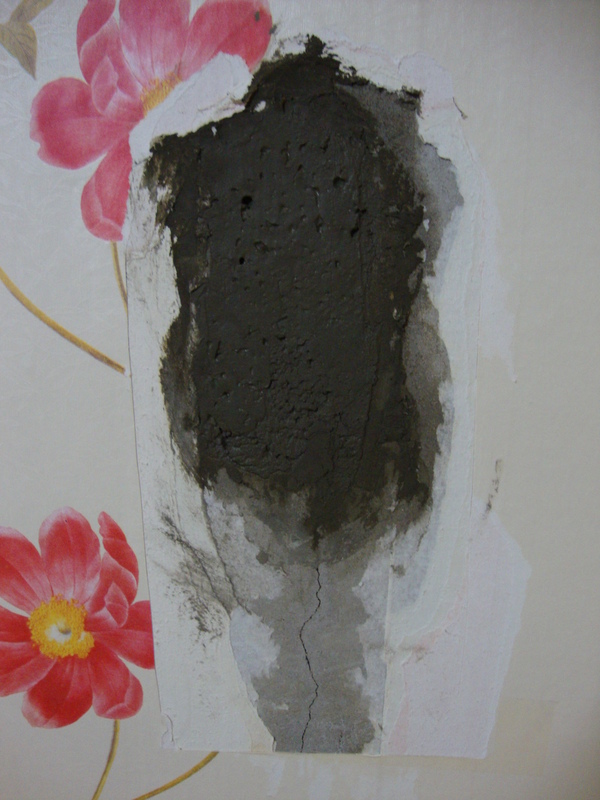 Before coming to Korea I was frightened by the prospect of mold growing in my apartment after reading about Jimmy and Rachel’s experience on their blog. (Strangelands.) They had a mold problem but theirs was more of a mystery about WHERE the mold was. 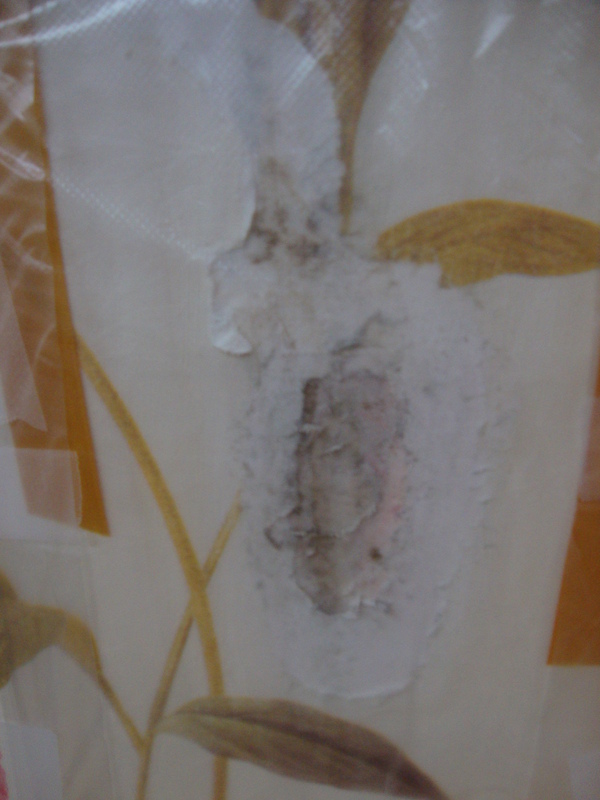 The black mold was cramping the style of my beautiful, flower wallpaper as you can see. After my discovery, I was so shocked. I didn’t even know what to do next. It wasn’t even hot outside! 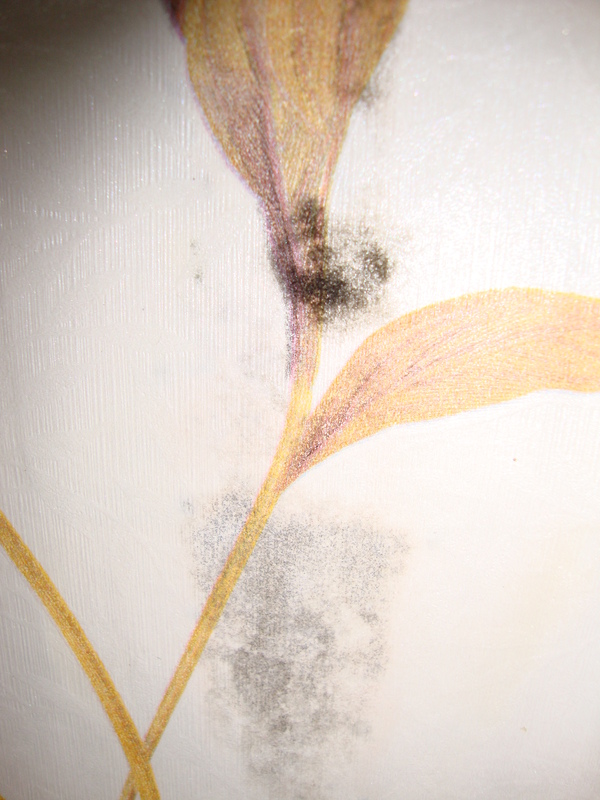 How could there be mold growing on my wall? In an open area, really? I decided not to touch it or else it might want to release mold spores and get in my lungs to make them bleed! …thats worst case scenario… I also had to hurry to Korean class downtown so I couldn’t handle it just yet. During class all I could think about was what that mold was doing in my apartment. Was it throwing a party? Was it growing bigger, bigger and BIGGER!? On my way home I picked up some clorox bleach and a few other gadgets to try to work some anti-mold magic. I tried to kill it with bleach but all I managed to do was find out that there was more underneath and ruin my wall paper. Gah, I just felt more scared after splashing mold on it and trying to just ‘grab’ the mold. IT really didn’t work that way. I ended up doing anything I could to try to get rid of it. I have never really dealt with this type of a situation but I am sure that this was not right. To add another factor in- I have an allergy to mold so I was really scared about my breathing. So, I did the only thing I think of. I used plastic. My attempt to NOT breath in the toxic mold fumes was to put a piece of plastic around it and SEAL it off. Ultimately it became a really great breeding place for more mold. Yeah, so I found more mold. Yeah, so it might not have been the brightest thing to do but I was desperate. I broke down after this, I called my coteacher. I might have sounded panicked and hysterical. (note to self don’t ever do that again.) She said that she would come to my house the next day. My coteacher seemed really short with me, and was kind of avoiding me. She didn’t want to discuss the mold whatsoever. Actually, she thought it was very funny that I was reacting so strongly. I tried my best after that to be as calm as possible, but come on, it was my health. At the end of the day we headed to my apartment. 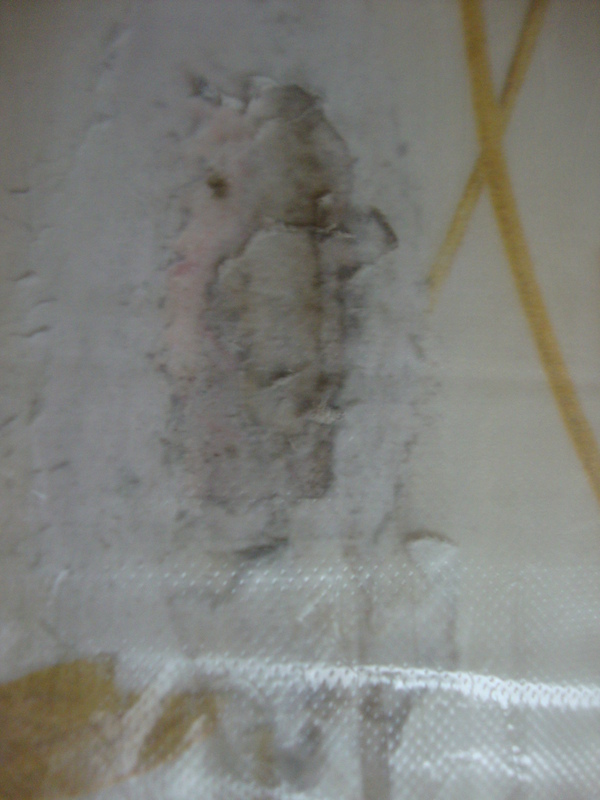 After taking a look at it (through the plastic barrier) she went to get the landlord. The landlord came to look at it and didn’t really believe it was mold. She needed her husband to take a look at it, so he would try later that night or the next night. It was the next night. The next night, I dropped my keys off to the landlord and headed for Korean class. I asked my co teacher to please explain HOW important it is to keep the plastic on. whether or not that plastic was doing anything, the placebo effect was working on me. After class I came home to the plastic on the floor along with little bits of mold. It was basically just ripped off and exposing itself to the rest of the apartment. Thanks. They were unable to do anything else until the next Monday so I stayed away from my place for the weekend. Monday ( a week from the first sighting) the job was going to get done while I was at school. As it turned out, the prior tenant wanted to hang a picture up on his wall, thats fine. The only catch is that all of the walls are solid concrete. Oh, this didn’t stop him. He took a nail and a hammer and he hammered that nail in nice and good. So good in fact that it was rest in a water pipe. 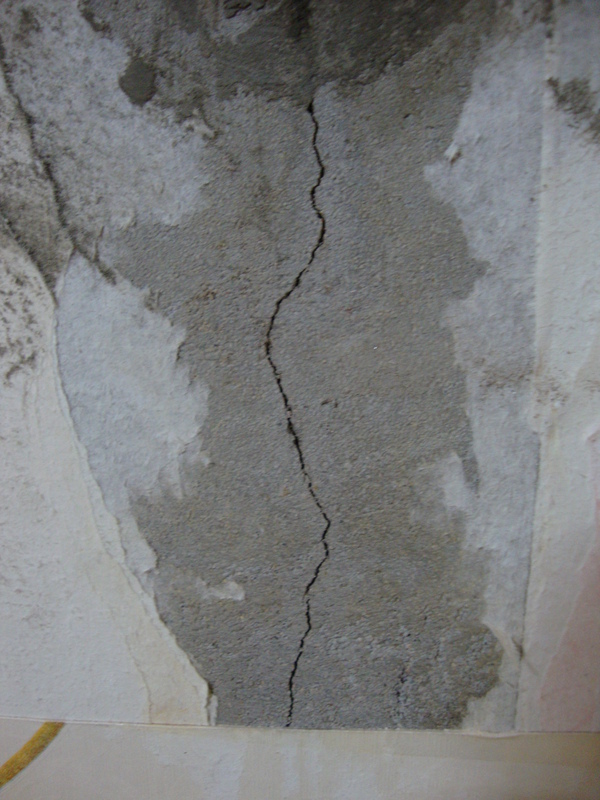 That puncture to the water pipe had grown bigger and water was running into the wall, causing mold to grow from under the wall paper. 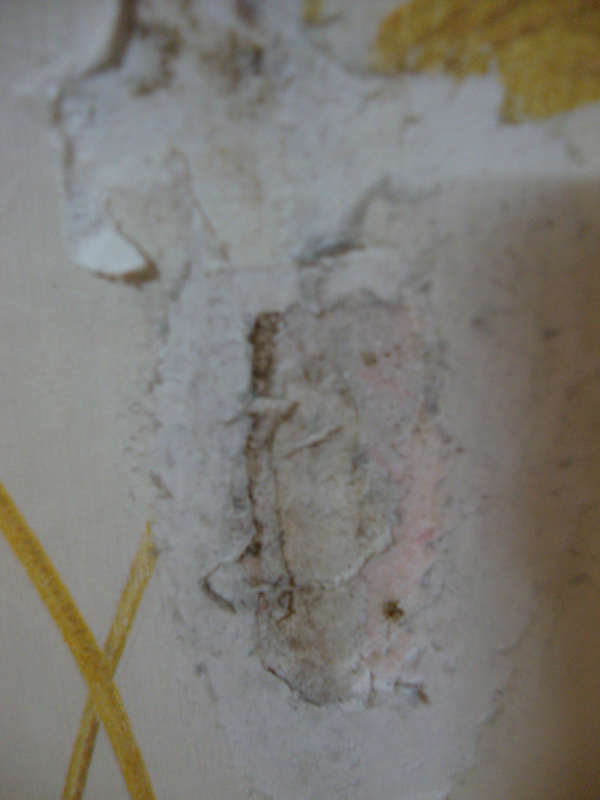 The crack in the wall from the previous tenant who wanted to hang up a picture on a concrete wall with a nail. After they 'patched' the leak in the pipes and re-cemented my wall. Currently, over this giant patch of exposed concrete hangs a picture that Jeff and I painted together in Jinju at the light festival. Thats my Moldy Molderton tale, and I hope to never meet him again.